Picture the Audience: To an on looking audience, public speakers reading from teleprompter screens can seem a bit robotic. For a natural-looking delivery, try picturing talking to real people, rather than just reading. Practice: Though teleprompter screens scroll words for you, practice is still crucial. Practice by reading and speaking your material beforehand for limited surprises and a smoother performance. Work with Notes: Sometimes, teleprompter reading can be more effective if you simply put notes on the teleprompter rather than an exact script, inspiring improvisation for a more natural delivery. 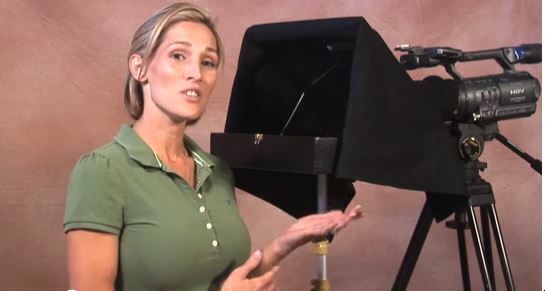 Are you looking to use a teleprompter for your next project? 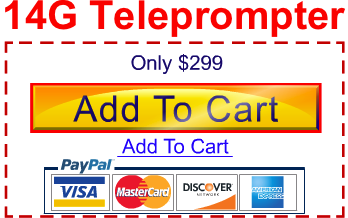 Really Cheap Teleprompter offers reasonably priced teleprompters, perfectly suited to your needs.